This dish is very light and refreshing, especially on a hot day by the lake. Mix all of the ingredients, except the Mahi filets, and chill. You might want to prepare the salsa a day ahead of time to allow the flavors to meld. Pre Heat your grill to the medium temperature setting. Place Mahi on a paper towel and pat dry. Season with salt and pepper. Place Mahi on the grill and turn once about halfway through the cooking cycle. Mahi should be at an internal temperature of 145 degrees when done. 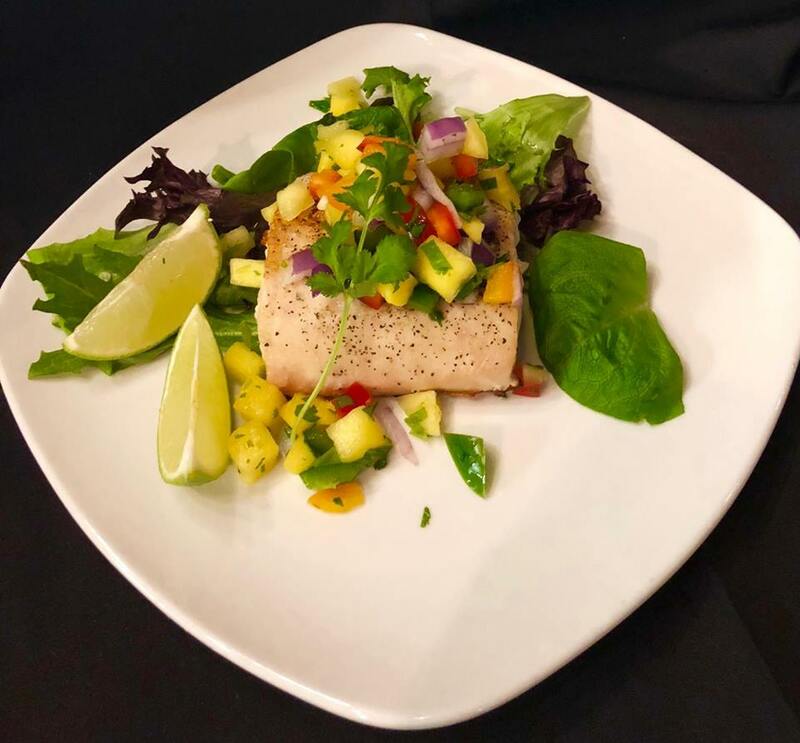 Top the Mahi with your chilled mango salsa and garnish with a lime wedge. The Old Country Club Steak House takes pride in the quality of their food and dedication to serving customers in our community for 45+ years. From dining in to to-go orders to catering your wedding and business gatherings. Located at 555 Community House Rd, Roxboro, NC 27574, (336) 599-8488.